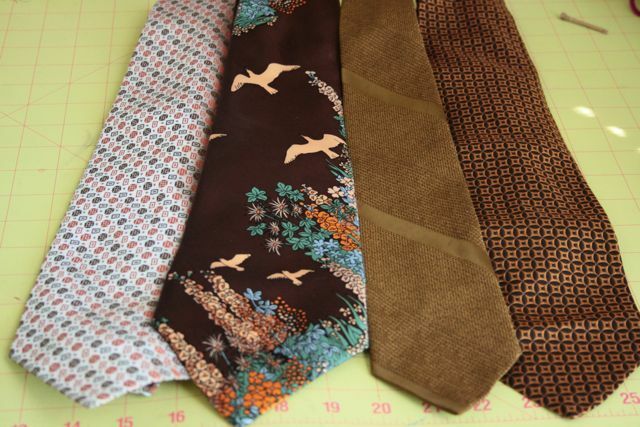 While every guy might not like to wear vintage ties, the ones who do (like my husband and brother) are sure to like this gift (I gave these to mu husband and brother for Christmas and they loved them)! 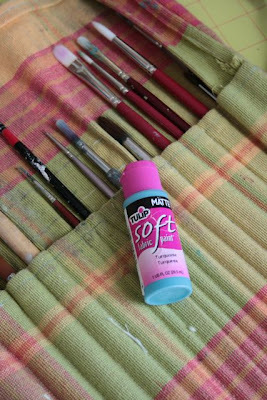 tape, contact paper, etc if you don't want to freehand it. 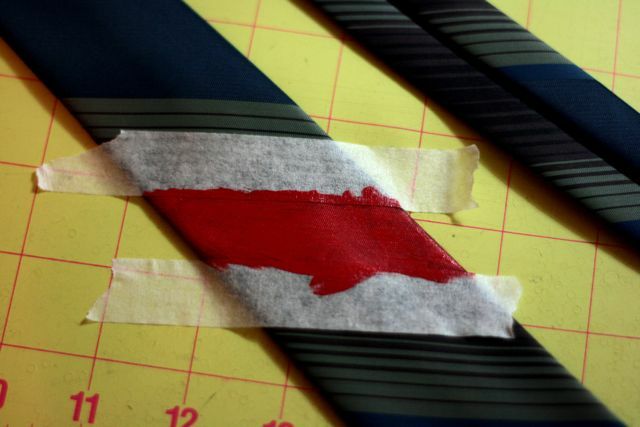 There are many ways you can paint a tie. For this tie (which I don't have a finished photo of.... sorry), I used masking tape to paint some red-orange stripes of varying widths. I stopped just above where he would tie the knot around his neck. It really looked great, not even like paint in the end! 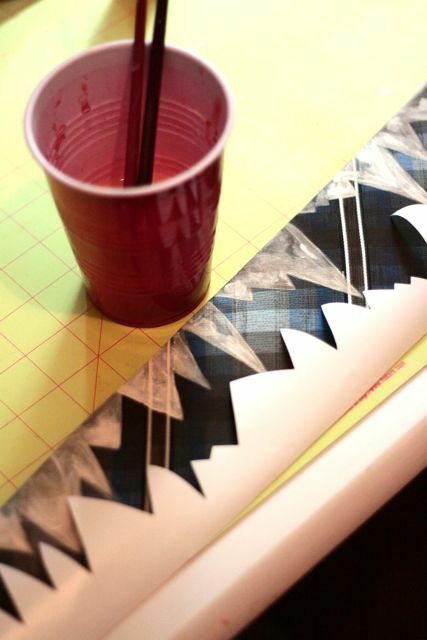 For this one I layed down contact paper that I had cut into mountain-like shapes. The contact paper didn't stick very well (I think b/c the tie was 100% polyester), but it stuck enough to get the general shape. I then ripped it off and filled it in on my own. 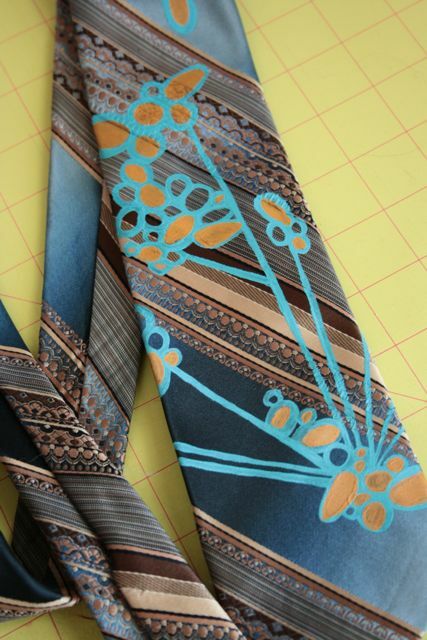 And lastly, this tie (my favorite). I just free handed it. It was probably the hardest one to do. 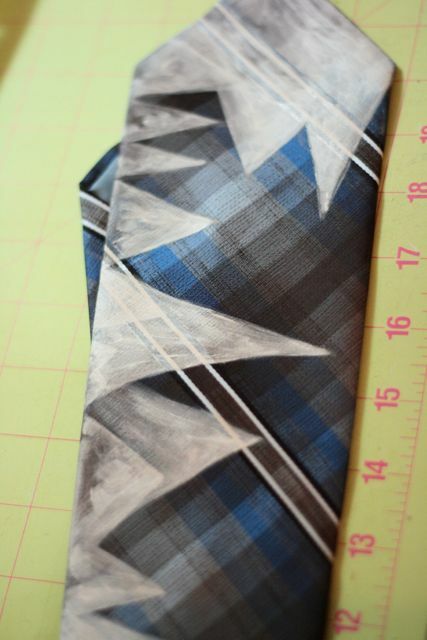 NOT because it was free handed, but because of the rough texture on the brown parts of the tie. It made it hard to keep a smooth line as I painted. 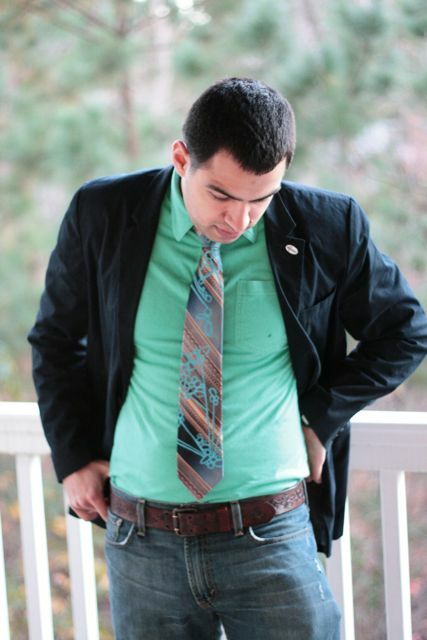 Here is my husband trying to model..... (he modeled the tie before it was finished). Anyway, I hope this inspires you to try some tie-painting as well! I thought it was pretty fun, and it made for a fun, artsy, original gift. I feel bad when I make things for everyone and don't take the time to make something for my husband. Especially since he always tells me everything I do is so great. (he is ver supportive of my artwork and blue-eyed freckle ventures). hmmmm i love the ties. and franc's modeling skills. If only I had a really really artsy part of my brain. I used to, I think it disintegrated long time ago. very creative. Great, easy, fun and thoughtful gift. I will have to give it a try. Thanks for the idea. 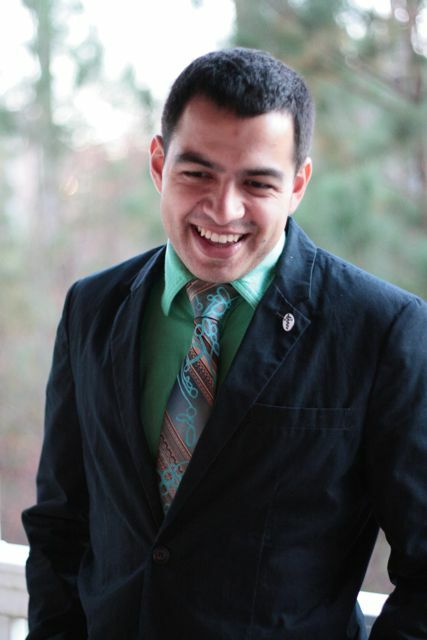 how adorable is francisco modeling for you?! supportive husbands are a gift aren't they? 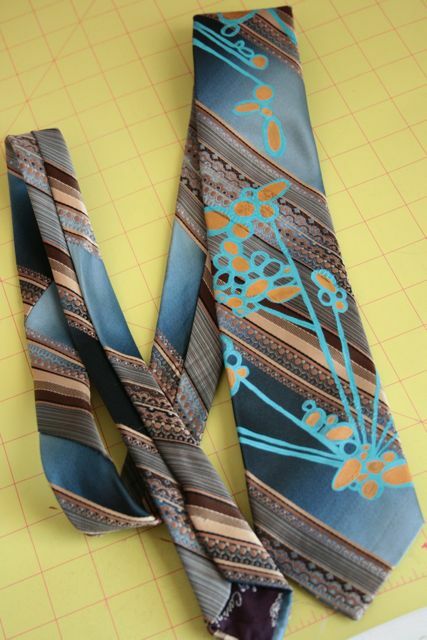 these ties are so cool and so you! Whoa.. that is FABULOUS looking. I love, love, love this idea and those pictures are fantastic! Thanks so much for the how-to, I can't wait to try this! I'll be spreading the word as well. We have some truly hideous ties that we were given for free. I'll have to try this on some of them...cause they really can't get any uglier. Thanks for the idea! So creative! And now your man looks even more handsome with his refashioned ties! Thanks for sharing.